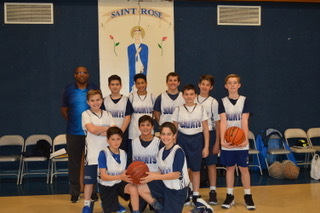 In our Saint Rose Catholic School Athletics program, good sportsmanship means something. 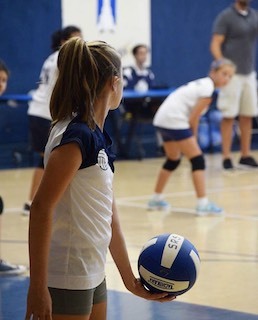 We teach commitment, cooperation, discipline and accountability in all of our athletes. We believe that by focusing on these values, we help our students be motivated and positive role models in our broader community. Students may participate in these athletic programs beginning in 6th grade. Student-athletes must not only represent themselves, but also their school and the communities of Paso Robles, San Miguel, Shandon, Creston, Templeton and Atascadero. Saint Rose expects their student-athletes to conduct themselves in a way that is both positive and appropriate for our school. Uniforms are expected to be clean and in good condition and respect must be shown to all referees, other athletes and attendees at any game.